Everyone at Hope searched for a solution. A member of the sales team landed on high pressure processing, or HPP, a cold pasteurization technique that submits food to 87,000 pounds of pressure per square inch, or the equivalent of 5,500 atmospheres. The pressure effectively kills pathogens like salmonella, listeria, and E. coli. “With pressure, it creates a break or rupture of the membrane of the microbial cell,” said Dr. Diane Barrett, of the Department of Food Science and Technology at the University of California, Davis. HPP promises the same level of food safety that heat pasteurization does, but without damaging the nutrients in fruits and vegetables. According to Dr. Barrett, several studies have found that vitamin C is relatively unaffected by the process for instance. Plaintiffs brought a class action lawsuit against Hain Celestial Seasonings’ BluePrint Juices over the use of the term “fresh” on its HPP-treated products, and a single plaintiff tried to sue juicemaker Suja over the same question. But both were dismissed. Some juice companies that claim to sell their products within three days of making them charged that HPP was basically cheating. Submitting carrots and kale to enough pressure to turn solid to liquid was okay, but upping the ante to kill pathogens was a few thousands pounds per square inch too far. At the smaller, Los Angeles-based Pressed Juicery, CEO Hayden Slater thought HPP might help the company serve more people than could be reached through stores in Los Angeles and San Francisco and the overnight ice-pack deliveries Pressed sent to the rest of the country. Slater also wanted to make sure the juice didn’t change. Pressed Juicery sold 200,000 bottles of juice the first week of January. They are now transitioning to HPP and expect the number to grow. Although HPP has been around for decades, it’s most often used in the U.S. on deli meats. It’s effective on food made with fresh produce—hummus, juice, and salsa—but HPP is expensive so the companies that produce those foods can rarely afford to use it. An HPP machine, about the size of a mini-van, can cost several million dollars. And using the machine adds to the expense because the food must first be sealed in a plastic tub or bottle that goes to the consumer, then it gets loaded into the machine one batch at a time. For this reason, it also adds to labor costs. With heat pasteurization, which is basically boiling something for as long and as hot as necessary to kill the pathogen, companies can treat huge quantities of product and then package it. Or they can treat packaged goods continuously like cars running through a car wash—no need to stop to load and unload. For the team at Hope Hummus, investing in HPP paid off almost immediately. 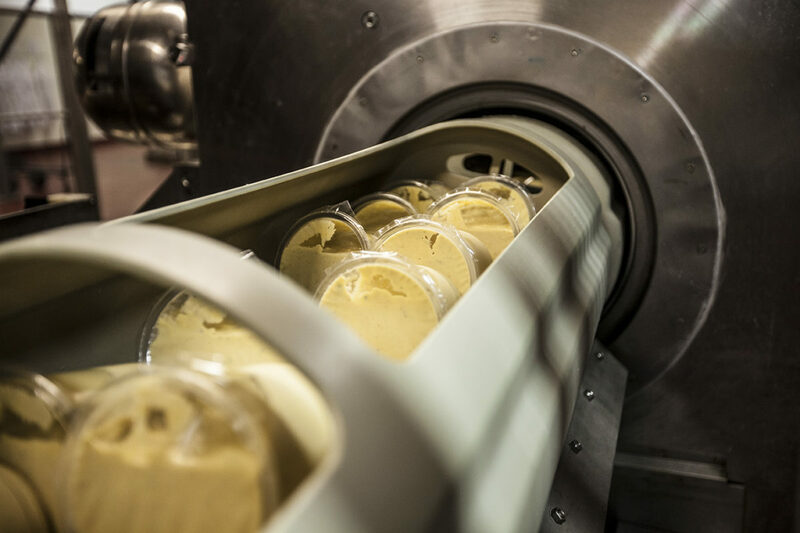 Within six months of buying the HPP machine, their Spicy Avocado Hummus was available all over the West Coast. And since then, Hope has tripled in the size every year. The trend towards HPP—in both juice companies and dips like hummus and salsa—is likely to continue. Market research firms predict a $600 million market for the technology and a $12 billion market for foods prepared with it by 2018. For people who avoid all “processed” food, something called high pressure processing may be a tough sell. But for producers and consumers, the technology appears to be paying off. If the high-pressure breaks the membranes of pathogens, I have to wager that it breaks the cell walls of fiber as well. These products may have similar vitamin and mineral contents to their non-pressurized counterparts, but I'd be very curious to see studies whether the fiber is destroyed, and if there are resulting effects on consumers' endocrine systems. You also have to wonder how much energy goes into pressurizing these products. I'm really interested in getting know more about HPP and want to know if you could share with me providers of this machine. Feel free to check our website and send me an email. You know, ANY food that has been masticated and digested with enzymes would be considered "processed". Also, whoever doesn't get the irony of that should be shot via The High Court Of Science Literacy! I'd also wager that irradiation is a much cheaper and more effective way of sterilizing food, but apparently RADIATION causes zombies or something in woo land.